This affordable alternative to full-leather provides the same pleasing feel and look of cowhide leathers made partly from leather and partly from manmade materials. DuraBlend is a bonded leather, which is a material that’s easy to clean and resistant to damage, so you don’t need to worry about leaving your furniture in the hands of your kids or pets. The Sofa is the perfect place to pile up everyone in the family and get cozy. Not only does it provide comfort with the oversized pillow arms and fully padded cushions, but it also has contemporary elements to it. The Sofa features tufting on the back and the seat as well as exposed tapered legs. 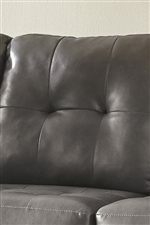 The bonded leather adds a rich appeal that is soft to the touch. Pair the Sofa with the Loveseat to complete the feel in your living room. The Alliston DuraBlend® - Gray Contemporary Sofa w/ Pillow Arms by Signature Design by Ashley at Michael's Furniture Warehouse in the San Fernando & Los Angeles area. Product availability may vary. Contact us for the most current availability on this product. Fabric Content Bonded leather. 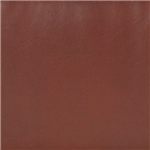 DuraBlend 32%/Vinyl 68% DuraBlend Consists of 17% Leather, 17% Poly Cotton, 59% Pu, 7% Pvc. 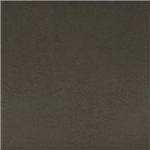 Vinyl Consists of 66% Pvc, 23% Poly Cotton, 11% Polyurethane. The Alliston collection is perfect for getting everyone together to settle in to comfort and style. The collection is functional with so many pieces to create your ideal living area. Alliston features sofas, a loveseat, recliner, ottoman and sectionals. The collection offers maximum comfort with fully padded cushions, oversized pillow arms and length letting you sprawl out. Contemporary elements are seen throughout with tufting and tapered legs. 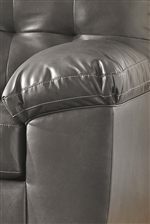 The bonded leather adds a rich appeal that is soft to the touch. With style and comfort, the Alliston collection will draw you in and not want you to leave. 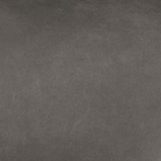 The Alliston DuraBlend® - Gray collection is a great option if you are looking for Contemporary furniture in the San Fernando & Los Angeles area. Browse other items in the Alliston DuraBlend® - Gray collection from Michael's Furniture Warehouse in the San Fernando & Los Angeles area.